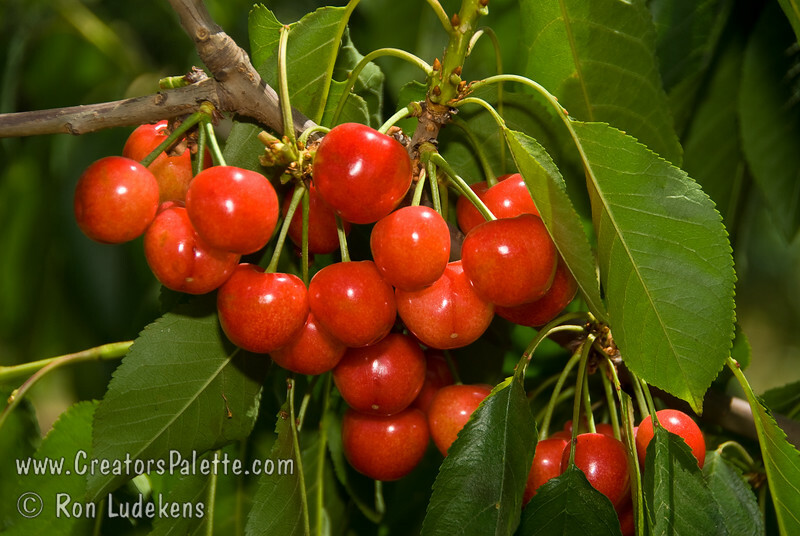 Utah Giant Cherry - Prunus avium sp. Larger and firmer than Bing or Lambert. Excellent flavor. Blooms with Bing. Continues firm, flavorful and good color when processed. Western X Disease resistant. Needs pollinizer. Ripens: Mid-Season. Requires approximately 1000 hours chilling.